Senator JV Ejercito expressed his support on lowering the individual income tax which he said will benefit the low-income earners. The lawmaker said that this proposal is imperative to achieve inclusive growth. “I fully support the proposal to lower the income tax because this will ultimately benefit our low-income earners who are religiously paying their personal taxes. 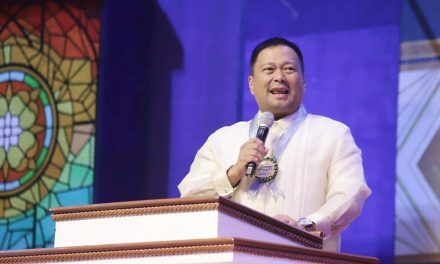 The current schedule of individual income tax ceased to be reasonable because the prices of basic commodities in 1997 are incomparable with the prices today,” Ejercito said. The lawmaker who also chairs the Senate Economic Affairs committee also noted that other ASEAN countries have started adjusting their taxing system in preparation for the economic integration. The Senator said that doing the same thing will alleviate the living condition of the Filipino workers and at the same time prepare the country for the regional integration. “The problem is that our taxation system is not designed in order for a simple Filipino laborer to enjoy his hard-earned income. This results to a very difficult living condition. Where is inclusive growth if a simple laborer cannot properly sustain a decent living condition? Sa sistemang ito, ang mga mahihirap ay lalo lamang naghihirap” Ejercito said.